Got a home recording or demo tape of your band? How about some comedy bits you've been working out? If you have audio that you'd like to hear on our podcast, send us your CD! It's like FREE promotion for your project! 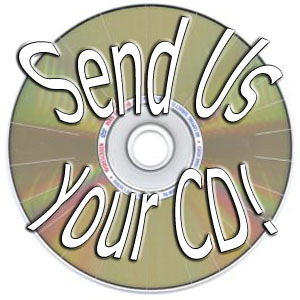 Send us your CD and be heard by hundreds of our daily listeners. Along with your CD, please send the little form below that states that you own the rights to the recording, and that you'd like us to play some of the tracks on our podcast, The Super Fantastic Ultra Show. Also send a photo or image that you would like to represent your project. If your CD has cover artwork, we will use that. Print this page, fill out, and send with the CD you want us to play on our podcast. We will NOT post your email or phone number on our site, they are needed for proof of ownership. Upon approval, Super Fantastic Ultra will broadcast excerpts from the CD you send us. All artists retain ownership and exclusive rights to their recordings. We act only as a means to exhibit such recordings in order to help promote unsigned acts, bands, and comedians. This way we get fresh content for our podcast, and you get some FREE publicity.